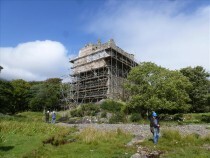 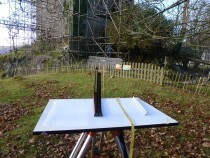 In summer 2012 a team of volunteers began work on an architectural survey of Moy Castle and its immediate landscape. 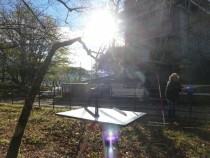 The results of the survey will be archived in Lochbuie House. This will be the most accurate record of the latest of the numerous phases of alterations undertaken on Moy since it was built. Some of the team are using the recording methods they were taught when they took part in the project run by Scotland’s Rural Past. They are passing on these skills to fellow volunteers who are learning to use an alidade and plane table.